Knelsen Sand and Gravel located in Calgary, Canada approached Datalink through a local Kenwood Dealer to provide a status tracking program for use with the Kenwood Mobile Radios previously installed in their concrete delivery trucks. Live status updates inform the dispatchers on the status and location of every truck on a minute by minute basis, ensuring an efficient flow of concrete to every job-site. 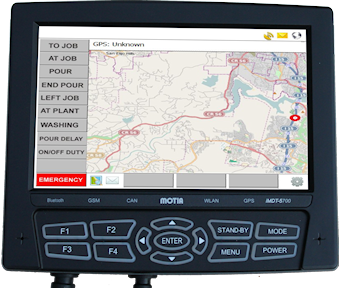 Each status update is transmitted over the Kenwood LMR network to a DataGate processing hub, normally installed in the Ready Mix company's computer which processes the data and forwards it to the Dispatch Desk monitoring all the concrete trucks allowing for efficient and quick truck routing. 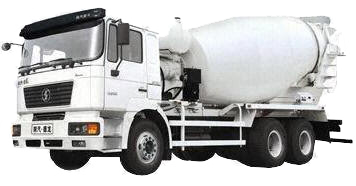 LIQUID CONCRETE MUST BE MIXED, AND QUICKLY DELIVERED TO A CONSTRUCTION SITE AND POURED BEFORE IT SETS HARD !! 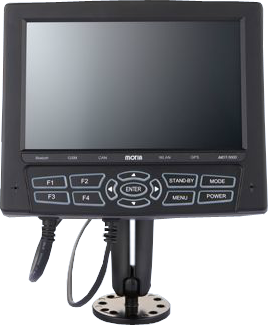 The Knelsen Company chose to use the existing status keys on the Kenwood Radio faceplate to send current status. An option was to install MDT Terminals. It also allows for CAN engine monitoring which can immediately email engine alerts to the maintenance department, who can instruct the driver to shut down the engine, which can result in the prevention of costly engine repairs.